Necklace Girth: Approx. 1 Pair of Earrings. Earrings Size: Approx. Pendant Size: Approx. 1 Necklace. Our team is with the collection of research, production, distribution and service. Expect in the goods quality be still on the price, after-sales service. Necklace Girth: Approx. 1 Pair of Earrings. Earrings Size: Approx. Pendant Size: Approx. 1 Necklace. Suitable for wear at occasions of party, banquet, wedding, etc. 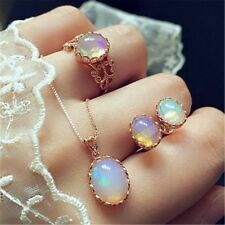 The whole set of jewelry avoids the trouble of matching. Type: Jewelry Punk chain Necklace. Pendant Size ：32 X 27MM. Material: steel. For shooting light, there are slight differences in shooting angles. 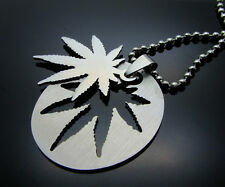 Stainless Steel Titanium Pendant Necklace. Type: Jewelry Punk chain Necklace. Pendant Size ：32 X 27MM. For shooting light, there are slight differences in shooting angles. Material: steel. Stainless Steel Titanium Pendant Necklace. Type: Jewelry Punk chain Necklace. Pendant Size ：32 X 27MM. Material: steel. For shooting light, there are slight differences in shooting angles. 1 x Cremation pendant. -Note: The top hole is too small to hold pills,can only put into powders or liquid. - It’s openable, can be screwed open. - Color: Silver, black. Nail Art Accessories. Material: Stainless SteelMaterial: Stainless Steel. Free Matching 1Pcs Beads Chain lenght :60cm. Jewelry & Watches. Color: Silver. hope you could understand. Size：Chain Length:Approx 60cm Pendant Size： Approx 3.5cm 2cm. A fashion and useful accessory to make you beautiful. Quantity: 1 Pc. 1 x Cremation pendant. -Note: The top hole is too small to hold pills,can only put into powders or liquid. - Color: Silver, black. - It’s openable, can be screwed open. Stainless Steel Titanium Pendant Necklace. Type: Jewelry Punk chain Necklace. Pendant Size ：32 X 27MM. Material: steel. Color: as show title picture. For shooting light, there are slight differences in shooting angles. Gold Irish Celtic Lucky Four Leaf Clover Pendant Braided Red Leather Necklace. We use high quality stainless steel which has a high resistance to rust, corrosion and tarnishing and requires minimal maintenance in order to keep jewelry looking like new. ( Length of the stainless steel chain can be adjusted with steel cutter). We use high quality stainless steel which has a high resistance to rust, corrosion and tarnishing and requires minimal maintenance in order to keep jewelry looking like new. Leather Thickness: 3 mm. We use high quality stainless steel which has a high resistance to rust, corrosion and tarnishing and requires minimal maintenance in order to keep jewelry looking like new. Unused, and in original condition. Leather Thickness: 3 mm. We use high quality stainless steel which has a high resistance to rust, corrosion and tarnishing and requires minimal maintenance in order to keep jewelry looking like new. Your information will not be shared with any other parties under any circumstances, unless required to do so by law. Memorial Cremation Jewellery Cross O.. Package Includes:1 x Cremation pendant. Love Heart Wing Gemstone Cremation U.. Fashion Golf Clubs shape Cremation U.. Jewelry and Watches.